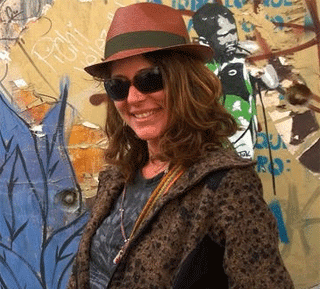 In a Nutshell: Over the last dozen years, former financial planner and travel enthusiast Nora Dunn (aka The Professional Hobo) has sustained her nomadic lifestyle by freelance writing and blogging about finance and travel. Through careful budgeting, a knack for travel hacking, and the judicious use of credit cards, Dunn has lived in and visited more than 55 countries. She has seen the world, experienced new cultures, survived natural disasters, and written about all of it. And through it all, the only constant is variability. Anyone can live a travel lifestyle, and they can do it however they want; Dunn is just one pathfinder trying to help everyone else discover their own way. 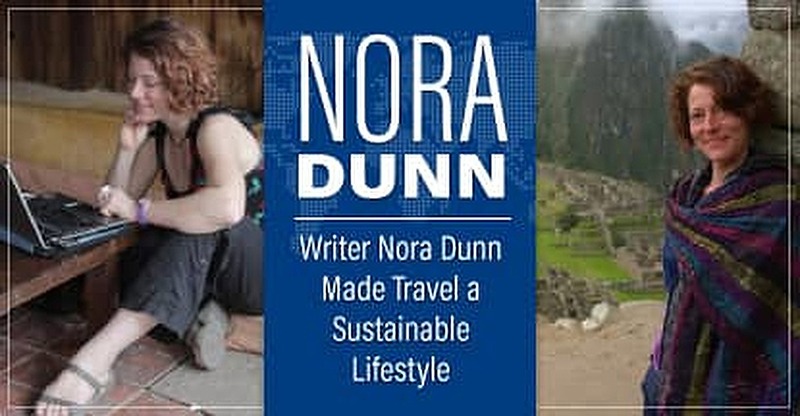 In 2006, Nora Dunn — better known to her readers as The Professional Hobo — left her job running a financial planning firm in Toronto to live a life of adventure. Since then, Dunn has lived a financially sustainable travel lifestyle. She supports herself through her own blog, which is dedicated to her passion of globetrotting free living, and she has published three informational books on that topic. She also supplements her income through freelance writing for sites, like GOBankingRates and Creditwalk.ca, where she pens a column called “Dear Nora.” She has also written on travel and finance for the Ingle International blog and for Wise Bread. To date, Dunn has been itinerant for almost a dozen years, during which time she’s visited and lived in more than 55 countries around the world. “I’ve had the ability to do whatever I want, wherever I want,” Dunn said. And as Robert Frost wrote, taking that path less traveled has made all the difference. Living a sustainable travel lifestyle has its challenges, not the least of which is finances. The second, of course, is spending. “How much money are you spending, and are you spending within your means? As an entrepreneur who has been living on the road for the last 12 years, I have certainly learned the money that I make, and consequently the money that I spend, has varied greatly,” Dunn said. Of course, there’s no budget without an income, and Dunn knows a thing or two about how people can earn while traversing the globe. Nora Dunn told us there are a number of ways to make living in different parts of the world financially feasible. According to the report, Freelancing in America 2017 — commissioned by Upwork and the Freelancers Union and conducted by Edelman Intelligence — the majority of US workers will be freelancers by 2027. This means much more opportunity to find work without being tied to a permanent location. But, on its own, an abundance of opportunity doesn’t necessarily make travel financially sustainable. Luckily, Dunn’s experience has provided her with some tips and tricks that help make travel a more viable lifestyle choice. Dunn is one of the original travel hackers — people who use financial shortcuts to save money while traveling. She offers the example of booking long-haul flights in business class for less than the cost of an economy ticket. “That would be a classic travel hack,” said Dunn. This is one of her own strategies, which she’s been using since her early days as a working nomad. In sum, credit cards help Dunn reduce expenses, mitigate the efforts involved in bookkeeping, and lets her bypass the line at the currency exchange. As a result, her smart travel tactics have freed up time for all manner of unlikely adventures. When asked about the most rewarding aspect of living on the road, Dunn told us, “My travel lifestyle has changed 10 times over in as many years. I guess, in many ways, that’s been one of the most rewarding aspects.” For someone who values personal freedom and novelty, this is undoubtedly a major draw. But for Dunn, the benefits extend beyond the personal. “I’ve had the good fortune to be a part of some very significant international fundraising and humanitarian efforts,” she said, “one of which I kind of accidentally spearheaded in Thailand.” She’s referring to the relief fund she started for victims of Cyclone Nargis, which hit Burma in 2008. Dunn was across the border in Chiang Mai at the time, where she put her travel plans on hold and began fundraising. That’s the year the Black Saturday bushfires swept across Victoria, where Dunn found herself in the midst of the flames. She spent three weeks as a refugee, struggling to outmaneuver the fires while aiding others doing the same. “The ability to help was really very rewarding,” she said. Dunn’s journal of the experience is available on her website. Dunn is quick to note that preferences and styles — including her own — can change over time. Luckily, something as inherently versatile as life on the road can easily accommodate these changes.